I started making my first By Hand London Zeena that I got as part of The Monthly Stitch Chill Out Bundle with the intention of entering the Indie Pattern Month bundle contest. 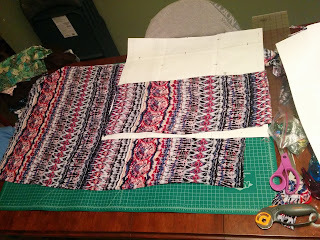 Unfortunately, my free time seemed to completely dry up just as I got everything cut out and ready to sew. 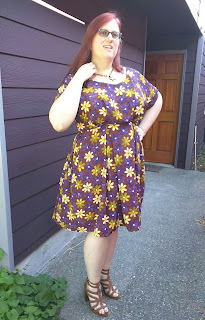 After I did finally get it sewn up, I knew I wanted to make another, so I decided to just go ahead and make 3 and use that as my offering for the August challenge. 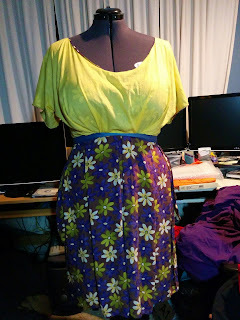 I made my first version from a fun floral 100% Rayon faille with the bodice lined with a bright yellow voile. My current measurements (49, 38, 48) put me in the size US 16 with a 4" FBA. 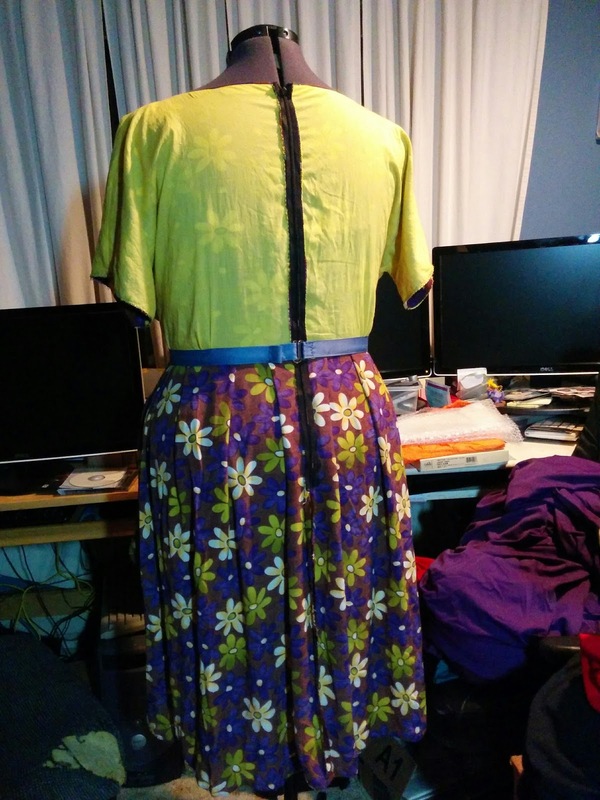 Well, I was a little confused how to do the FBA without a side dart, so I sorta did it the normal way, adding a side dart, then rotated it into the kimono sleeve a little and the bulk of it into the waist pleat. 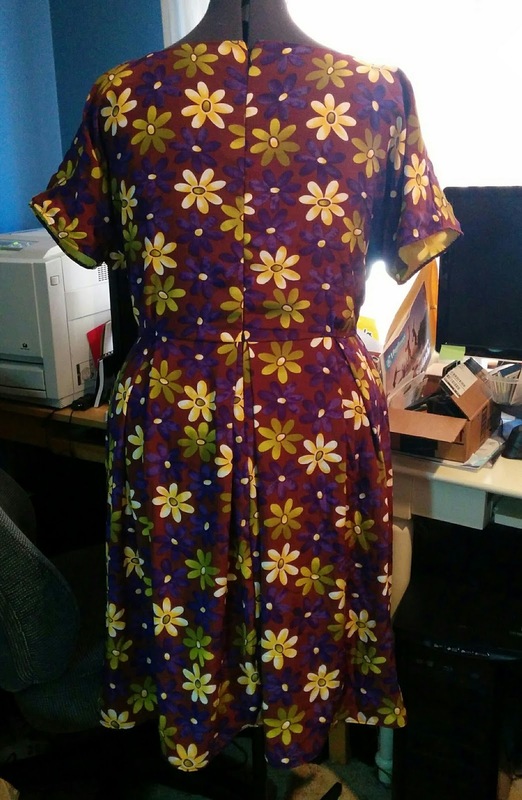 However, after I cut my fabric, I realized in all my research and confusion, I forgot to halve my adjustment amount and ended up adding 4" to the pattern piece, which means I added 8" total to the bodice front. Doh. 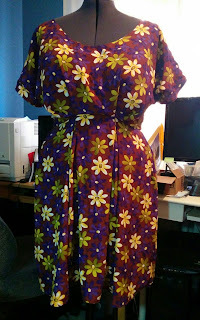 And my method also didn't add any length to the piece. 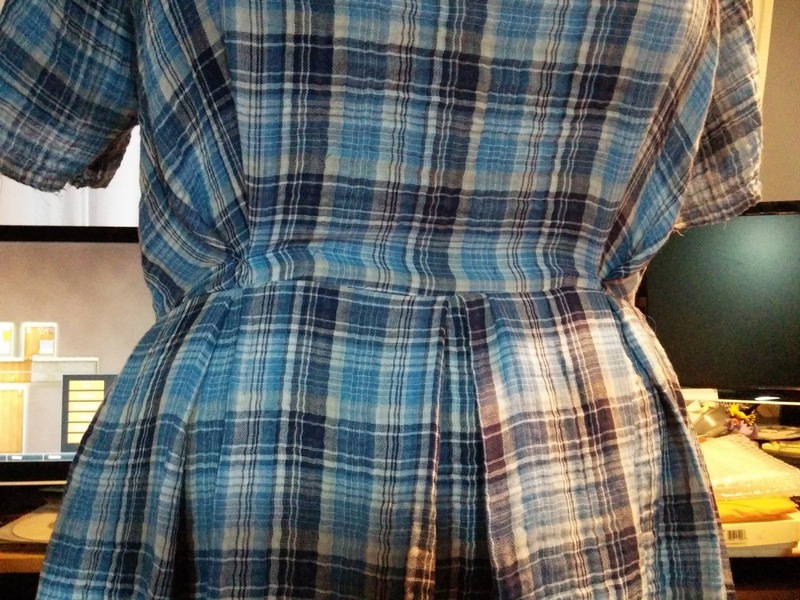 So the waist seam is way too high in the front. But I ended up fiddling with the pleats quite a bit and moving where they are in the original pattern until I thought the dress didn't look too bad. I thought it would be a fun thing to try adding a waist stay. 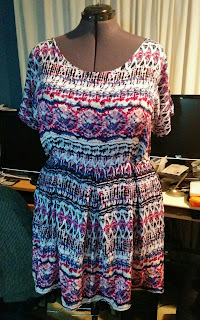 I read up quite a bit on how to do this and I decided to go with the method shown in this Sewaholic tutorial. This dress didn't have a heavy skirt or a strapless bodice, so I mostly wanted it to take the strain off the zipper at the waistline and to make it a bit easier to zip up myself. 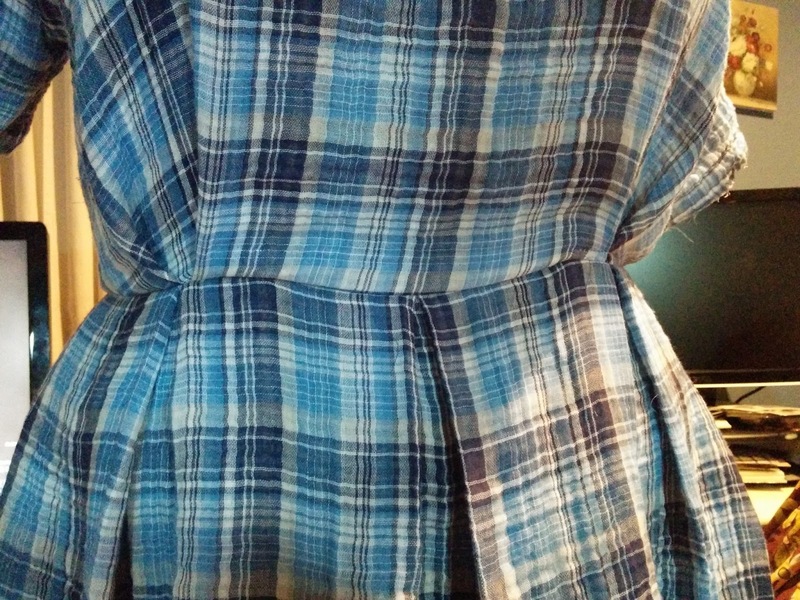 But you can see from the pictures above that the front of the waist seam is much higher than the back. 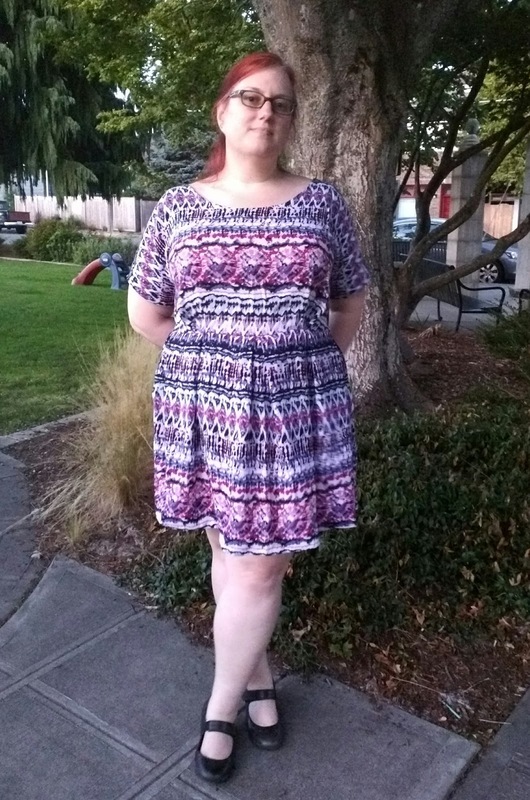 I've worn this dress twice and got several compliments on it both times, so i guess I'm not the only one who thinks it doesn't look too bad. 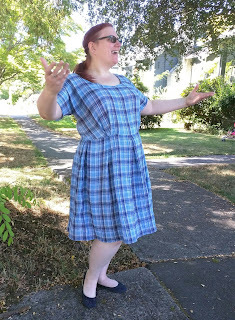 So, I fixed the FBA issue for my second version, which I made from a 100% cotton double gauze in blue plaid. 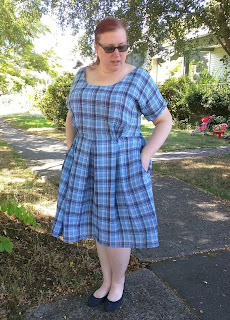 But after wearing it to work yesterday, I think I need to take a little of the length of the front bodice back out. It's not really very noticeable in these photos, but the waist seam stays pretty much right where it's supposed to and the bodice poofs out a bit right above in a way I don't like. I cut the fabric trying to match the plaid at the center front, completely forgetting that the skirt has a pleat right in the front. 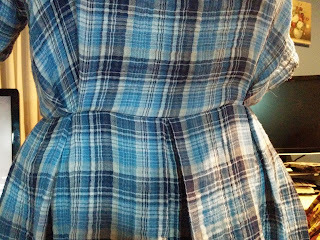 However, when I first basted the bodice and skirt together, I was pleasantly surprised to see that the plaid was very close to matching up. So I fiddled with the pleats a bit to just shift the fabric around within the existing pleats to make it match better. 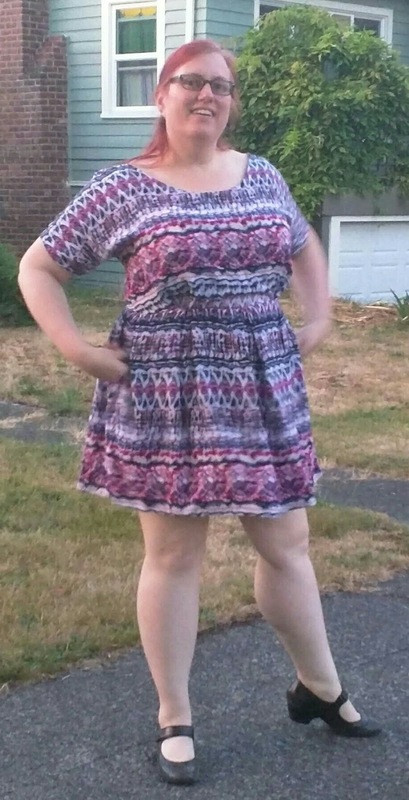 So much better! I love how it turned out. 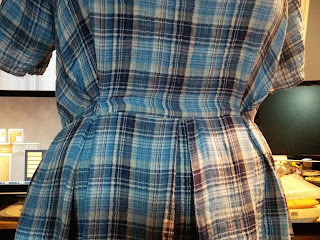 After my blue plaid Zeena was already mostly assembled, I noticed that when I wore my brown floral Zeena the zipper bulged out a bit at the lower back where it could use a sway back adjustment. So, I took a 1" wedge out of the center back bodice for my third version, which I made out of a lovely ikat stripe print Rayon Challis (sold out) from Fabric Mart. And, of course none of the photos of the back of this dress turned out. 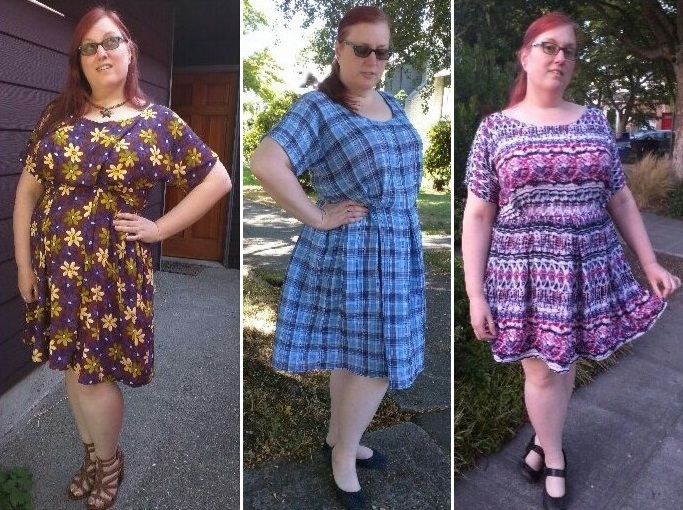 But I do have dressform photos. While cutting out this third Zeena, I had some issues because the fabric's pattern repeat is pretty large, so I couldn't cut the full midi length skirt (which is actually knee length on me.) 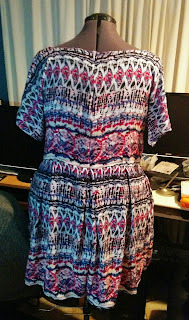 And of course, I didn't notice until I had already cut the skirt front and went to cut the back, matching the stripes. I cut it as long as I could with the fabric I had, and it ended up about 3 1/2 inches shorter than the other two. 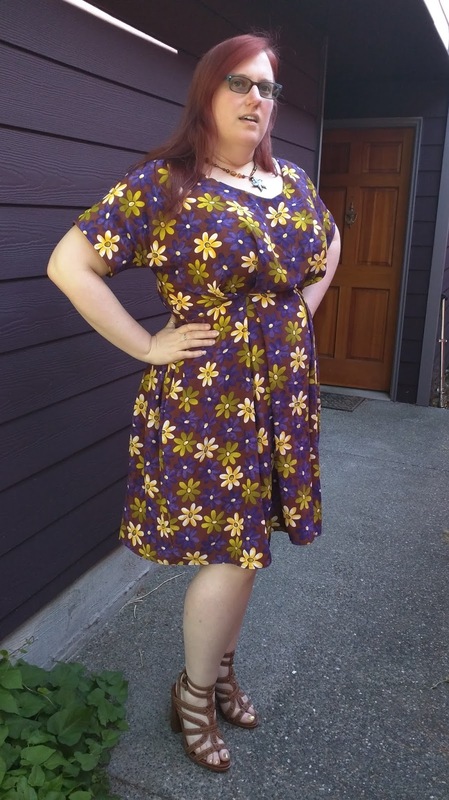 But I think it was fortuitous since the shorter length paired with this fabric comes off nice and sassy, while the longer length makes the brown floral dress look classy and gives the plaid version a lovely 50s housewife feel that I am totally into.